The Brick Castle: Sgt. 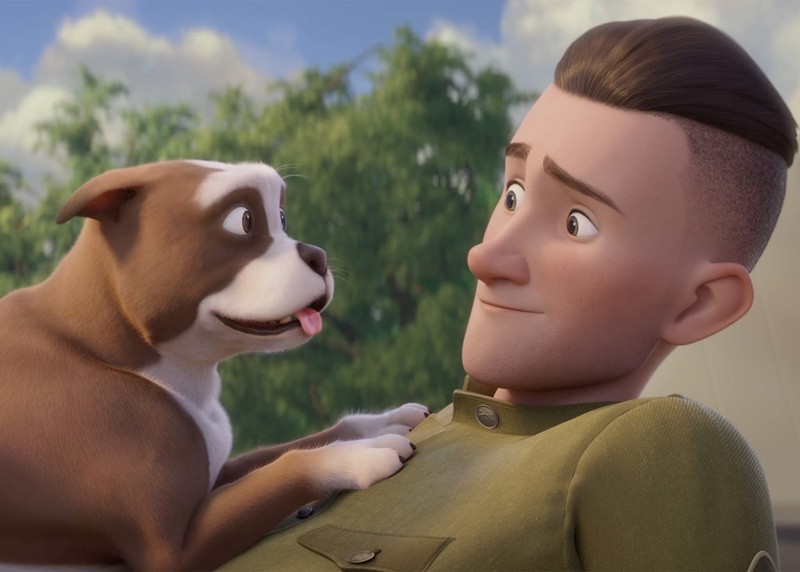 Stubby Movie Review, Activity Sheets and Plush Sgt. Stubby Giveaway (3 winners)! The animation is gorgeous. Muted, rounded and reminiscent of the old Disney movies, with a lovely 1950's feel which is perfect. The movie also features a great voice cast, including Helena Bonham Carter, Gerard Depardieu and Logan Lerman. 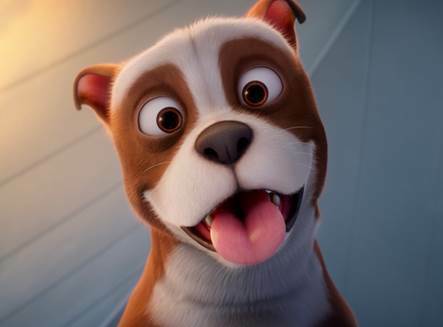 It's an excellent quality movie and there are some great activity sheets that you can download for free, including a mask, origami barking dog and Sgt. Stubby bag puppet on the Sgt. Stubby Website. This is an emotional movie in parts, but it's also funny and made everyone laugh. There are losses, and scary bits. War is full of peril. It's also pretty factually correct and we all have a lot to learn and consider as we watch, and afterwards. My boys were incredibly surprised to find that it was a true story. Most of all though, Sgt. 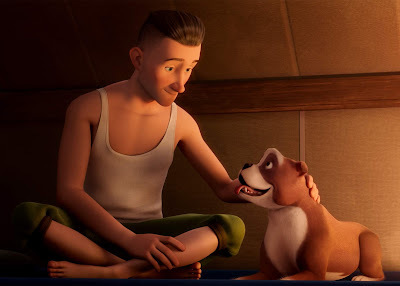 Stubby is heart-warming, this is a tale about a hero, and his actions saved a lot of people. My boys really enjoyed Sgt. Stubby. He really does show the world the true meaning of dedication, loyalty and bravery. It's a great film for the whole family to enjoy together, although younger children may not entirely appreciate the sentiment or peril. Best for age around 6+ in our opinion. To celebrate the release the UK release of Sgt. 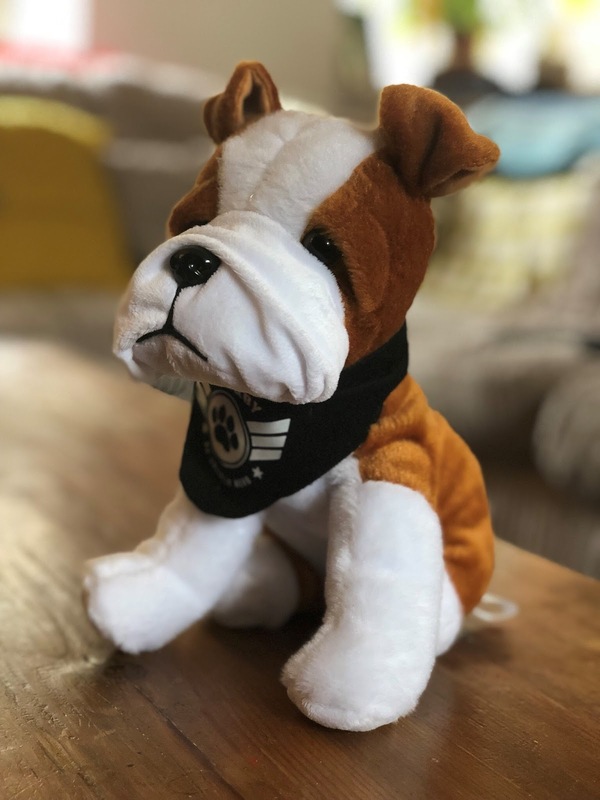 Stubby, I'm delighted to be able to give away a plush toy of Sgt. Stubby each to 3 lucky winners! To enter the giveaway, please use the Gleam form below. Your details are only for the giveaway entry and will be discarded after a winner has been drawn, checked and contacted. Sgt. Stubby Plush Toy Giveaway (3 Winners). We were sent a screening link and plush toy in order to review. A horse would take you to a safer place! A bear would be good to snuggle up to at night to keep warm! Pigeons are intelligent, courageous and resourceful little souls as well as being beautiful. They have proven their value in war and could do so again, if necessary. Sorry to vegetarians, but all I can think of is anything edible. A Rhino, you could tame it, then destroy the enemy! A dragon could finish off the enemy! A big grizzly bear they are big, scary and could keep you warm! A dog; for companionship and sniffing out mines etc. Probably a horse, horse, a horse, my kingdom for a horse. A tiger would be great. A carrier pigeon, to carry all the messages. I think a donkey would be useful. Dogs because they are so loyal, not called man's best friend for nothing! A horse would be good. Perhaps a wolf? They’re known for their pack loyalty. There have been a variety of animals that have been helpful in war time. I think I would choose a dog, as they are so loyal, great company, etc. Weren't carrier pigeons used during wars? Good for carrying messages without being hacked! I think a Badger would be good in times of war as they would be very good at digging out victims from the rubble. A horse would be super in the war! Perfect for getting you away in desperate times. Heli L - A Cheetah to take you away somewhere safe and quickly!